This is one of the many verses used to say that God’s Commandments; His Law written down in the Old Testament has now been abolished in Christ. Popularly taught that the “middle wall” that separated us from God, is God’s Commandments/Laws, and that they were taken down through Christ’s sacrifice because they were hostile towards us. OK, let’s test this common misunderstanding, incorporating sound archaeological evidence alongside historical context and hermeneutics to understand the true meaning of Paul’s words here. It is the author’s belief that this verse like countless other statements made by Paul has been misunderstood by the bulk of mainstream Christianity today. For he is our peace, who hath made both one, and hath broken down the middle wall of partition (between us.) by abolishing in His flesh the enmity, which is the Law of commandments contained in ordinances, so that in Himself He might make the two into one new man, thus establishing peace, and might reconcile them both in one body to God through the cross, by it having put to death the enmity. 2. What is the middle wall of partition/separation? 3. What is the “law of commandments in ordinances” which is called “enmity” by Paul? 5. What are the “two” that are reconciled (made into one) through Messiah? Sin and disobedience is defined as breaking the law of God throughout scripture. So, here’s the point, if Paul here is referencing sin and disobedience, which is the breaking of the Law of God, it follows that there must have still been a Law of God in effect to break and not abolished as some claim. But God, who is rich in mercy, for his great love wherewith he loved us, Even when we were dead in sins, hath quickened us together with Christ, And hath raised us up together, and made us sit together in heavenly places in Christ Jesus: That in the ages to come he might shew the exceeding riches of his grace in his kindness toward us through Christ Jesus. For by grace you have been saved through faith; and that not of yourselves, it is the gift of God; Not of works, lest any man should boast. For we are his workmanship, created in Christ Jesus unto good works, which God hath before ordained that we should walk in them. We are saved by grace, not by works. But, in verse 10, he makes mention that we were created for doing works. Thus, we do good works not for our salvation, but because of our salvation. God prepared these good works beforehand, that we should walk in them. But, what are these good works that we are to walk in that were created so long ago? Well, the Bible defines that for us. So you shall keep the commandments of the LORD (YHWH) your God by walking in his ways and by fearing him. You shall walk after the LORD (YHWH) your God and fear him and keep his commandments and obey his voice, and you shall serve him and hold fast to him. Do you recall Paul stating something similar in Ephesians chapter 1? Let’s look at verse 4. …even as he chose us in him before the foundation of the world, that we should be holy and blameless before him. Paul is referencing Deuteronomy 28:9 in Ephesians 1:4 and Ephesians 2:10. Deuteronomy 30:16; Joshua 22:5; Judges 2:17; 1 Kings 2:3; 1 Kings 3:14; 1 Kings 6:12; 1 Kings 8:58; 1 Kings 11:38; 2 Kings 23:3; 2 Chronicles 17:4; 2 Chronicles 34:31. Paul, in Ephesians 1:4, states that, we were chosen before the foundation of the world to be holy and blameless…meaning; this has been the plan all the way from the beginning of time. In chapter 2 verse 10, we learn that these good works were created for us beforehand. Being holy and blameless, and walking in the good works established from the beginning are not just concepts from the Old Testament that Paul is referencing. Such has always been true, and always will be true. And this is love that we walk according to his commandments; this is the commandment, just as you have heard from the beginning, so that you should walk in it. This is where we really need to start asking questions to understand the first-century Hebraic context of this text. So according to Paul, when they were of the “uncircumcision” they were not “citizens of the commonwealth of Israel, nor privy to the covenants of promise.” Did that change? Yes it did. But now in Christ Jesus (Messiah Yeshua) you who once were far off have been brought near by the blood of Christ. Now the believing Gentiles are of the “Circumcision” and brought “near,” being “citizens of the commonwealth of Israel.” This is very different from how mainstream Christianity understands this. To state that the Gentiles entered into “Circumcision” and became “citizens of the commonwealth of Israel” is a completely foreign concept to most modern doctrines in Christianity. Most in mainstream Christianity would not consider themselves to be citizens of Israel. Yet, Paul says it right here in Ephesians 2. Also, pay close attention to the language of “having once been far off, but now having been brought near.” – That is prophetic language specific to the lost tribes of the House of Israel having become “far off,” and were prophetically destined to someday become “brought near.” Read it again…the Gentiles were once of the “Uncircumcision” but now are of the “Circumcision.” Remember, circumcision was defined in the first century as to be the believing Jews. The Gentiles were once not citizens of the commonwealth of Israel, but now are citizens of the commonwealth of Israel, but God’s people never changed. It is those that are in covenant with God that are God’s people. Israel has always had a purpose. Israel was always intended to be a light to the nations. Any revelation intended to mankind has always been through the Jewish people. I will make you as a light for the nations that my salvation may reach to the end of the earth. So then, what does it mean that Israel is to be a light for the nations? Israel is intended to send out the Law of God to the nations. What is the word for “nations” in the Hebrew language? It is goyim…Goyim means Gentiles in Hebrew with Strong’s often translating Goyim as nations, heathen, Gentiles, and or people. A few hundred years before our Messiah, when the Old Testament was translated into Greek from the Hebrew, the Hebrew word goyim was translated into the Greek word ethnos, which again, means Gentiles. The job of Israel was always intended to bring the Law of God to the Gentiles. Sadly though, that did not happen and Messiah had to show up and teach the Jews its purpose. The first century religious leadership of the Jews messed up very badly and made the process for Gentiles to come into the light (the Law of God) so difficult, that it became a barrier, an obstacle, literally creating a wall – a wall of hostility. The Law of God was rendered powerless through the doctrines of the first century Jewish leadership and their traditions. 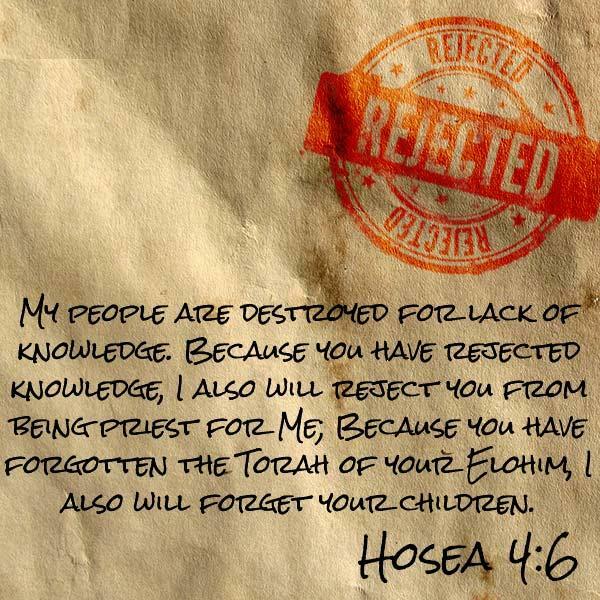 Because the Jews were so hostile to Gentiles, few Gentiles even wanted to understand the Law of God, the Torah (instructions), and when Gentiles were brave enough to approach mainstream leadership of the Jews in the first century, they made the process unnecessarily complicated. This in effect, rendered the Law of God powerless with the Gentiles, please remember that as we continue in Ephesians. The reason that Peter thought it was unlawful was not because of the Law of God, but because the Pharisees, the Orthodox Jewish leadership or Rabbinates that taught such through their oral law and their traditions of men. Peter mistakenly believed and followed the Pharisees in these matters. Not only did Jewish leadership put up a spiritual wall between Jew and Gentile, they actually put up a literal wall as well in the temple courts called the “middle wall of separation” or s’yag (in Hebrew or soreg). So, the Law of God, the torah and Gentile were literally and spiritually separated because of the actions of first-century Jewish leadership. A casual reading of these two verses does indeed portray such a perspective as valid that the “middle wall” mentioned in this verse is a metaphorical expression used to describe God’s Law, the torah, as a wall of hostility, although scripturally this couldn’t be further from the truth. The overall context of this verse lets us know that Paul was speaking of the division of Gentile and Jew (uncircumcised & circumcised) that existed in the late second-temple period. We will look at a few pieces of evidence on this facts below. The s’yag (the middle wall of partition) was a low wall surrounding the Temple in Jerusalem and served as a boundary/partition beyond which only Jews (the Circumcision) were permitted entrance. The s’yag featured signs in a number of languages that warned unauthorized people against entering the area of the Holy Temple on pain of death. Museo della civiltà romana a Roma (Eur) – Room 15 (Christianity) # 4 – Cast of the plaque forbidding any non-Jews to enter the second precinct of the Temple of Jerusalem. The original stands in the National Archaeological Museum in Istanbul. A) It is a known fActs, that there were Gentiles who went up to the Temple in Jerusalem to Worship God. When you go through these [first] cloisters, unto the second [court of the] temple, there was a partition made of stone all round, whose height was three cubits: its construction was very elegant; upon it stood pillars, at equal distances from one another, declaring the law of purity, some in Greek, and some in Roman letters, that “no foreigner should go within that sanctuary” for that second [court of the] temple was called “the Sanctuary,” and was ascended to by fourteen steps from the first court. Considering all of the above facts, it is safe to say, that Paul was referring to this “partitioning wall” in his letter to the Ephesians, as it was a prominent feature of the Jerusalem Temple at that time which restrained Gentiles from entering in. It is also important to note that this wall was not part of the original design God had given in the Torah, but was a later addition made by the Rabbinic Jews in authority to keep Gentiles from entering the temple precinct. Nowhere in the Old Testament would you be able to find of such a structure that separates people into two groups. But this had become the norm in the 2nd Temple times, and no Gentile could enter into the Temple precinct because of it. Most Christians would jump to the conclusion that the “law of commandments in ordinances” mentioned by Paul is none other than the Law of God (or torah) which was given through Moses in the Old Testament by our Heavenly Father. What most fail to see is that this term is completely different to “The Law of God” and “The Commandments of God”. To understand this difference we must look into the meaning of the word translated as “ordinances” and let scripture answer scripture. And it came to pass in those days, that there went out a decree (G1378) from Caesar Augustus, that all the world should be taxed. And as they went through the cities, they delivered them the decrees (G1378) for to keep, that were ordained of the apostles and elders which were at Jerusalem. Whom Jason hath received: and these all do contrary to the decrees (G1378) of Caesar, saying that there is another king, one Jesus. Looking at the above, one thing should become apparent the word “ordinance”, can only mean and be translated as “decree” – which means “an official order that has the force of law”. While God had given Commandments and His Law, decrees were laws that were man-made. If Paul was indeed speaking of God’s Law & Commandments, he would not have needed to use the word “ordinance”/”decree” in his letter. Paul could have only been referring to man-made orders (the takanot and ma’asim – or laws of men) through the term “ordinance”. These “ordinances” were indeed hostile, as they restrained anyone other than “Jews” worshiping God at the Temple. These ordinances made a clear separation between Jew and Gentile, by elevating one above the other, to the extent where Gentiles were looked down upon and were disassociated by Jews everywhere (John 4:9,27, 7:35, Acts 10:28, 11:2,3, Gal 2:12). It is a clear that Paul, in his letter to the Ephesians, speaks of the broken down “middle wall of partition” to be connected solely to “abolishing the law of commandments in ordinances”. As we have seen above, Paul was speaking of the physical wall of partition at the Temple, with man-made decrees that enforced a separation, this makes perfect sense. Paul was now saying that this separation that men had imposed on people was now no more because of Messiah. As mentioned the purpose of Israel was to bring the Law of God to the nations, meaning the Gentiles. However, Paul, in Ephesians 2, to some, seems to be suggest at least to the majority of traditional orthodox Christian teachings is that the Law of God was a wall of hostility between Jew and Gentile, and thus our Messiah had to abolish the Law of God to make peace, and bring Jew and Gentile together. How in the world can it be the purpose of Israel to bring the Gentiles the Law of God, yet the Law of God was the problem between Jews and Gentiles and had to be abolished. For the law was given by Moses, AND grace and truth came by Jesus Christ. Thanks be to God through Jesus Christ (Messiah Yeshua) our Lord! So then, I myself serve the law of God with my mind, but with my flesh I serve the law of sin. For he himself is our peace, who has made us both one and has broken down in his flesh the dividing wall of hostility by abolishing (katargeō) the law of commandments expressed in ordinances, that he might create in himself one new man in place of the two, so making peace, and might reconcile us both to God in one body through the cross, thereby killing the hostility. 1) The purpose of Israel was to show the law of God to the Gentiles as a light. 2) Israel failed at showing the Gentiles the Law of God. Instead, they were oppressive to the Gentiles and were hostile to the Gentiles. So much so, that this hostility created a spiritual wall between Jew and Gentile, even to the degree of building a dividing wall in the temple courts expressing this sad mentality. This rendered the Law of God powerless with the Gentiles, meaning the Law of God had no influence or power with the Gentiles. 3) Our Messiah showed up, and in Matthew 5 he reminded Israel that they are to be a light to the Gentiles, showing them the good works that they are to do. The primary definition for the Greek word translated as “abolished” in verse 15 means to render powerless, to deprive of strength and force, influence, and power and “abolished” is the secondary or less common definition. So, why didn’t translators go with the primary definition of the word? We cannot state for certain, but most translators are biased into believing that our Messiah did indeed abolish the Law of God. However, the primary definition offers a slightly different spin on the particular Greek word used in Ephesians 2:15. 1. to render idle, unemployed, inactive, inoperative, to deprive of its strength, make barren. To cause a person or a thing to have no further efficiency; to deprive of force, influence or power. Again, the first definition. “To render idle, unemployed, inactive, inoperative, to deprive of its strength, make barren. To cause a person or a thing to have no further efficiency; to deprive of force, influence, or power.” Basically saying the same thing as Strong’s. So, in applying that primary definition for the word, here is what happens. Let’s read Ephesians 2:14-15 again with this information. For he himself is our peace, who has made us both one and has broken down in his flesh the dividing wall of hostility by abolishing rendering powerless the law of commandments expressed in ordinances, that he might create in himself one new man in place of the two, so making peace, and might reconcile us both to God in one body through the cross, thereby killing the hostility. Do you see how that fits? The Law of God was not hostile to the Gentiles. That would be absurd, would it not? The Law of God is not hostile to those who come into the faith. Read Psalm 119 for example. Our Messiah abolished the hostility between Jew and Gentile; and did not abolish the Law of God. The hostility between Jew and Gentile was rendering powerless the Law of God for the Gentiles, defeating the purpose of Israel, which was to bring the law as a light to the Gentiles. The Gentiles were to not be strangers or aliens and subject to the hostility of the Jews, but citizens of the commonwealth of Israel. They were to be made one together. What puts this argument completely in place, is the idea Paul speaks about in connection with the broken down wall of partition. Paul says that Christ has “made both one” and again, that “twain one new man”. What or who are these two parties which are made one? 1. The context of the Chapter speaks about how, Gentiles had no part in the covenants of promise and they were excluded from the citizenship of Israel, before they were saved through God’s Grace and sacrifice of Christ. 2. History proves that there was indeed, a physical partitioning wall at the Temple which kept Gentiles separate from Jews. Paul spoke of this wall to have been broken down through Christ’s sacrifice. 3. The original Greek wording seen in the verse in question, is specifically speaking of man-made decrees, and not God’s Law. There were many such laws/decrees imposed on people by the ruling parties, such as the Pharisees. If Paul is speaking of this partitioning of Gentiles and Jews, and that this “man-made” partitioning or “middle wall” was not in effect because of Messiah, what are these 2 parties he is referring to? Is he not saying that there is no more division? There are no more Jews & Gentiles? That no one can keep the covenants of promise from the Gentiles and that Gentiles are now fellow citizens of the commonwealth and covenants ofIsrael? As sinful Gentiles, we had no part in the covenants of promise, and were also excluded from the citizenship of Israel. But when Christ came and saved us through God’s Grace, the partitioning wall that kept us outside was broken down. No man-made decree can keep us away from enjoying the covenants of promise or the Citizenship of Israel, as all who believe in God are now made into one people. We were once hostile to God, but now through the blood of Messiah, we have been drawn into His sanctuary, not to be separated ever again. Even though Eph 2:14-16, is usually used as a proof text for “the Law of God being done away”, every effort in the above study to understand this passage in its original historical and biblical context. This has led us to the conclusion that Paul was speaking of a separation of God’s People, rather than an abolishing of God’s Law. Paul used a physical wall of separation to show how Gentiles had no part with God, before Christ. He further showed the Ephesian congregation, that the man-made decrees of separation were no more in power, because of God’s grace, as he had drawn believers, both Jew & Gentile unto Him, to make both one in Him. There is no more gentile. No more Jew. No separate flocks or peoples – Only His people “Israel. If we consider ourselves His people, we are “Israel” – let us not separate, what God has made one, through the sacrifice of Yeshua.